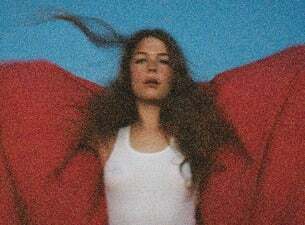 Maggie Rogers is a producer, songwriter and performer from Easton, Maryland. After her education at NYU's Tisch School of the Arts, she released her breakout single "Alaska" and subsequent critically acclaimed debut EP, Now That The Light Is Fading. "Alaska" has since charted in Spotify's Viral 50 in 40 countries, hit #1 in 23 countries and now has over 100 million global combined streams to date. The BBC, Tidal, Google Play, Vevo, Pandora and numerous publications – including Rolling Stone, NYLON, SPIN, Billboard and more – have tipped her as an artist to watch. NPR named her one of its Favorite Musicians and The New Yorker declares, "Maggie Rogers is an artist of her time." Rogers has an extensive tour schedule in 2019. In addition to her headlining tour dates, she will take the stage at several festivals including Coachella, Woodstock 50, Newport Folk Festival, Shaky Knees Festival, Pharrell's Something in the Water, and more.